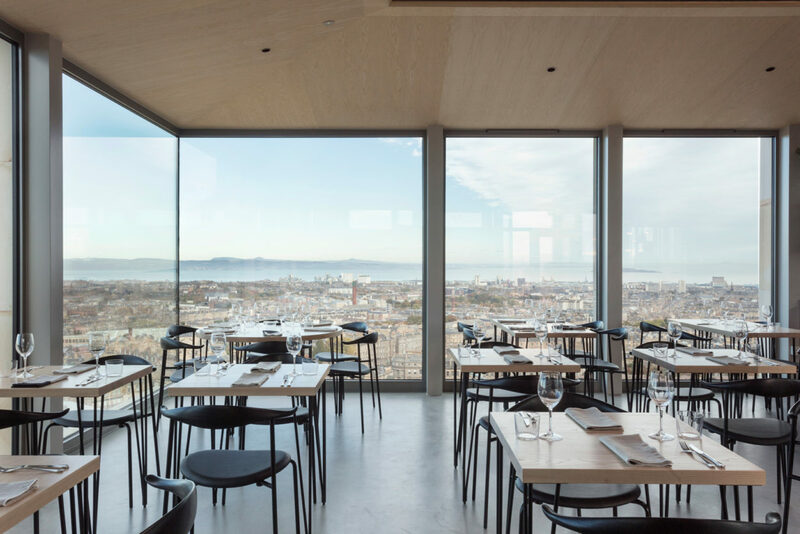 Collective Architecture completed The Calton Hill City Observatory project, for the joint client City of Edinburgh Council and contemporary art organisation, Collective. The design and restoration project was split into two distinct phases. 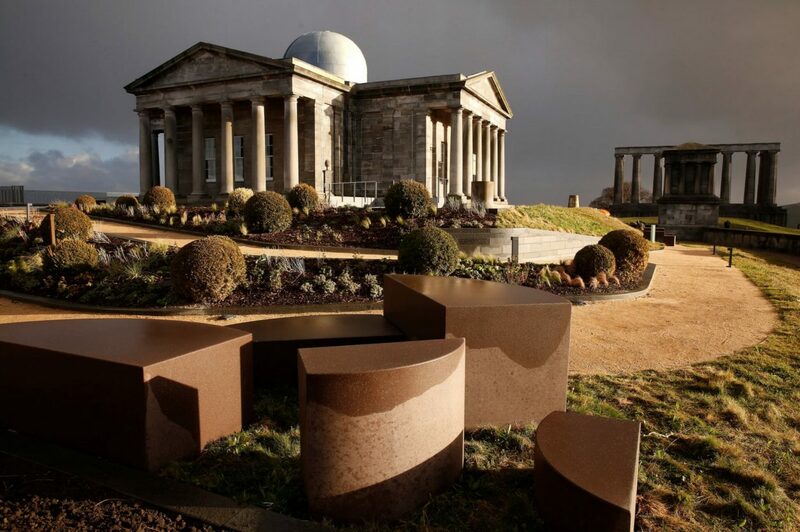 Following Phase 1 works by Collective Architecture in 2014, which facilitated the relocation of Collective to the City Dome on Calton Hill, Phase 2 works see the extensive refurbishment of the Category A Listed City Observatory, Transit House, Playfair Monument & Boundary Walls. 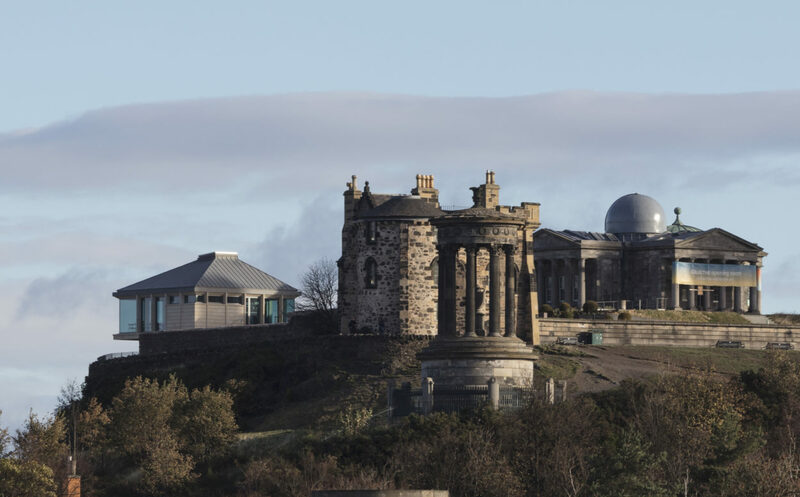 It also includes the addition of a new two storey restaurant, ‘The Lookout’ which cantilevers over the north east corner of the boundary wall, a new gallery ‘The Hillside’ which is excavated into the basalt mound to the north of the Observatory and a new welcome kiosk at the East Gate. The connections between each building are then carefully knitted together by an extensive new landscaping scheme, developed with Harrison Stevens Landscape Architects, which allows the site to become fully accessible and open to all, for the first time in its 240 year history. 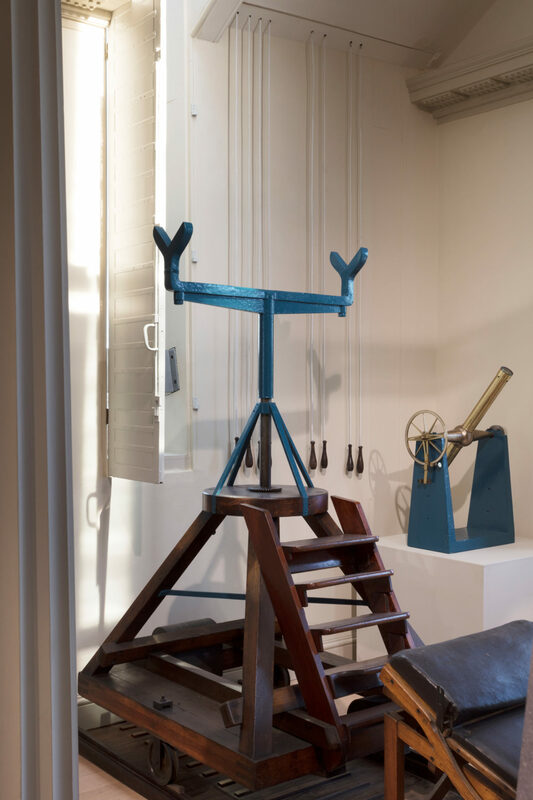 The City Observatory has a rich history, playing a central role in the development of the ideas of the enlightenment. The client group wanted to reinterpret these ideas through the prism of contemporary culture. 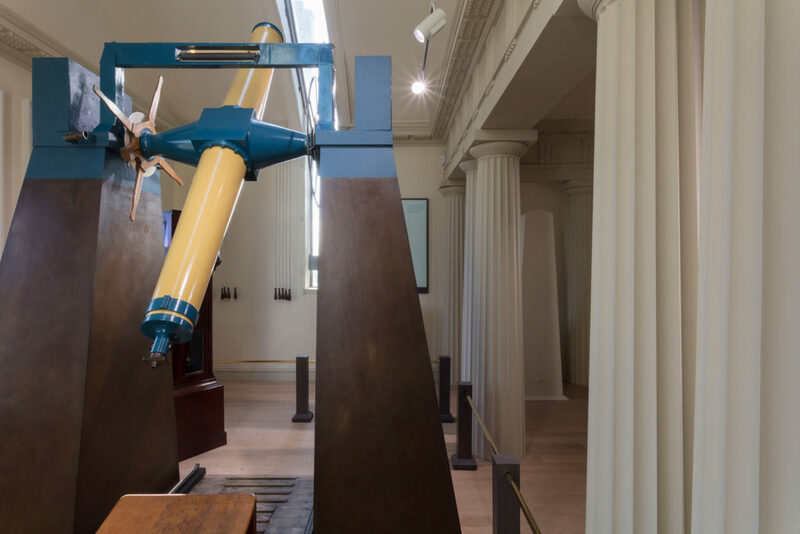 Astronomy is a forward looking science, and the introduction of contemporary art, a forward looking discipline, to this historic environment is intended to reinterpret what a ‘City Observatory’ could mean today. Designed by W.H. Playfair in 1818; we had the fantastic resource of a full, detailed set of original Playfair drawings to work with when developing the proposals. This informed much of the conservation work, including reinstating the original interior plan form of a single central hall with double column arrangement; opening this up now allows light to flood into the space on a perfect east/west orientation as Playfair intended. 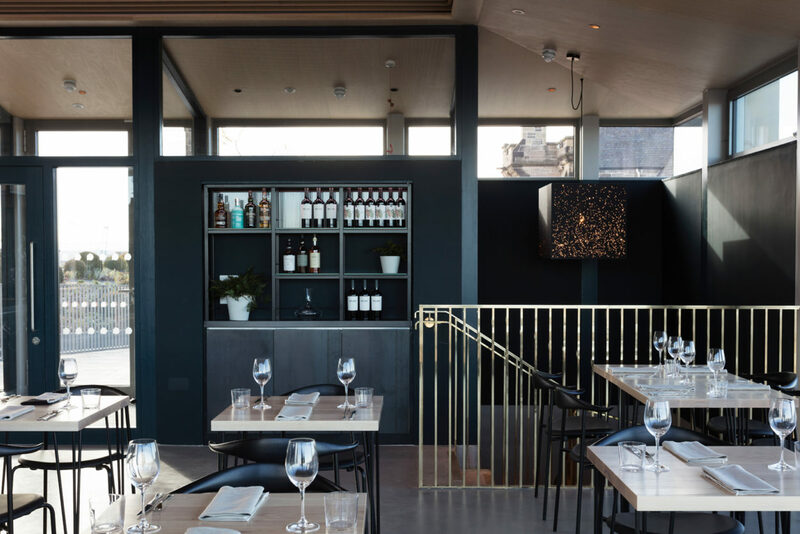 A particularly striking feature of the City Observatory are the meridian slots, two 180 degree slices into the roof and elevation of the east and west wings of the building which were once covered by timber shutters, to allow the building to be opened up to the sky. 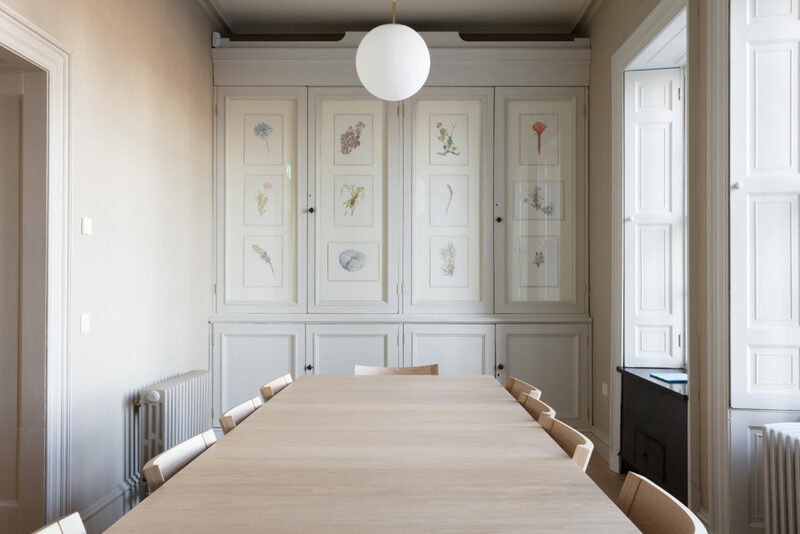 These have been reopened, the shutter mechanism overhauled and the slots glazed as part of the works; this intervention feels very contemporary, but in fact is a fundamental original element of the 200 year old building design. The building will be used for display of artwork, scientific instruments and Collective’s retail space. The adjacent Transit House predates the City Observatory, and in many ways is a simplified first version, with a single meridian slot, the same timber shutter system and scaled down detailing. This space will be used by small groups as a workshop and gathering space and for display of scientific instruments. 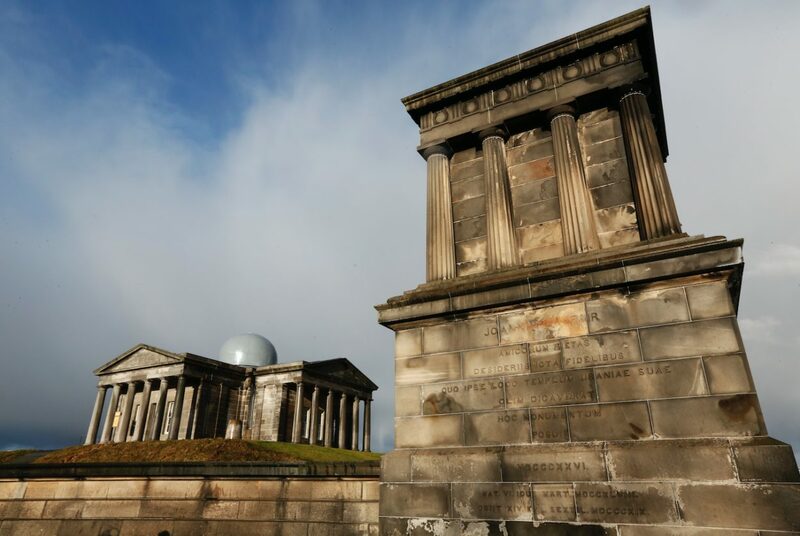 The restaurant occupies the vacant north west corner of the site; historical analysis found that Robert Adam had urged James Craig to ‘fortify’ each corner of the site when he was developing proposals for Observatory House and although this was not fully realised by Craig, the later additions of the Playfair Monument and City Dome strengthened this principle, leaving the north west corner appearing empty by contrast. 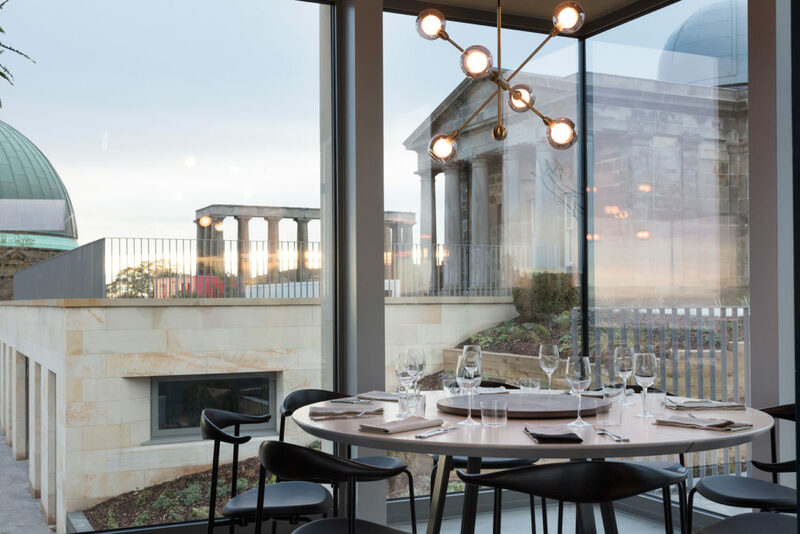 The form of the restaurant is designed with a geometric kinship to the Playfair Monument, balanced diagonally opposite. From outside the compound it appears single storey, projecting out in a bold manner over the boundary wall. A series of stone columns support the roof, set in an asymmetric arrangement to create a sense of anchoring the building back into the hill. 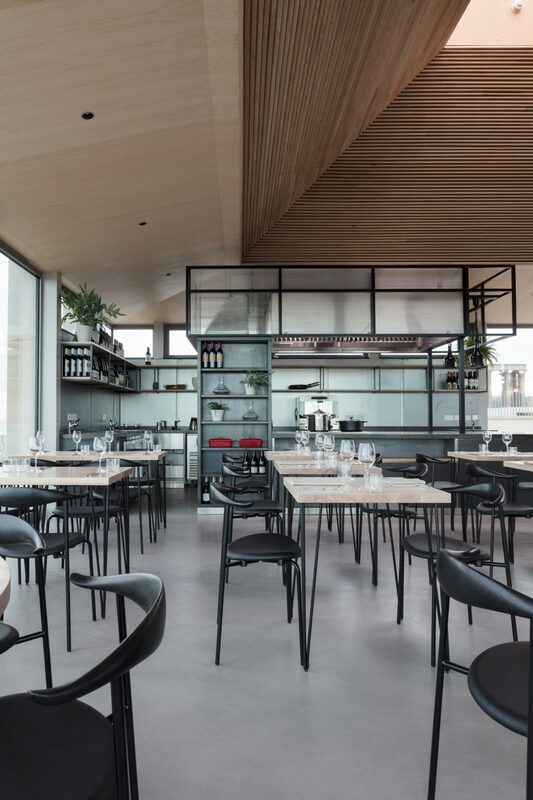 The pyramid roof form is topped by a glazed oculus, to echo the form of the Old Observatory House roof, and to create a focus up towards the stars, accentuated by a stepping timber ceiling internally. 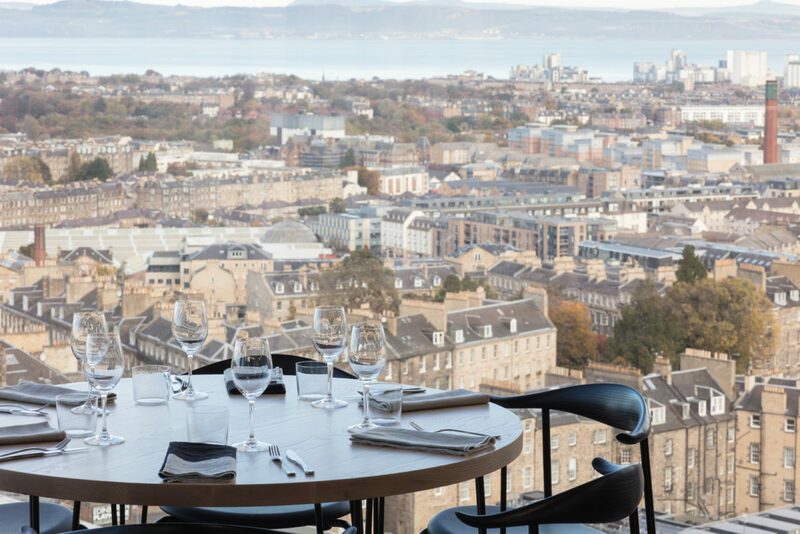 The upper floor enjoys views focused either back towards the City Observatory or out across the city and to Fife. 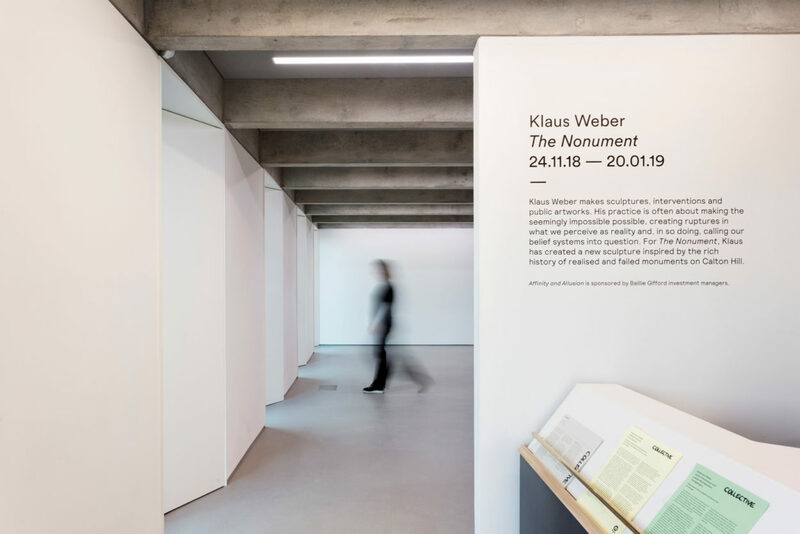 The integration of a new gallery and office space for Collective was achieved by excavating into the hillside to the north of the City Observatory. 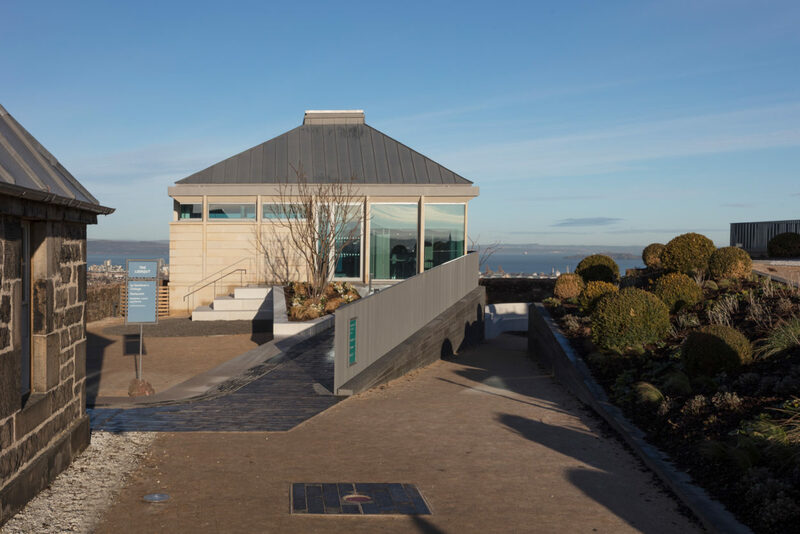 This earth sheltered building, which sits a storey lower than the Observatory, becomes integral to the landscape due to roof terrace above, and from here panoramic views from Edinburgh Castle in the west around to the National Monument to the east can be enjoyed. 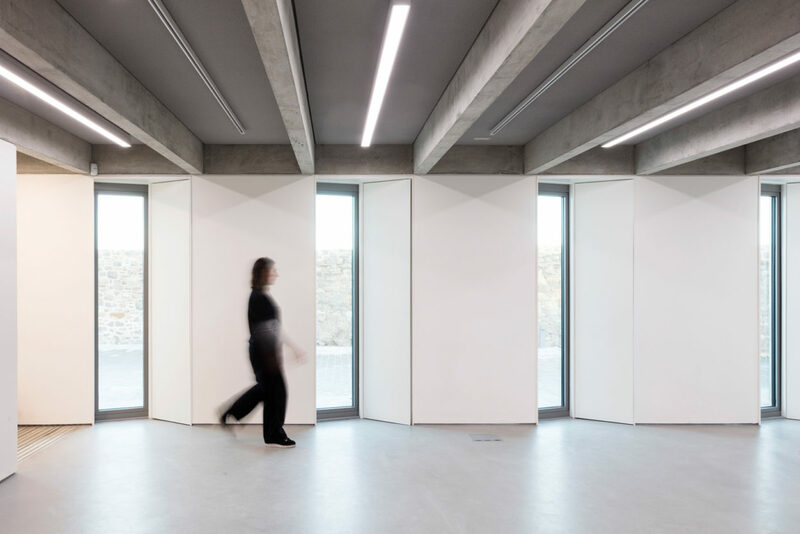 The Hillside gallery is mainly for use by the Satellites programme, run by Collective to support emerging artists in their first exhibitions. 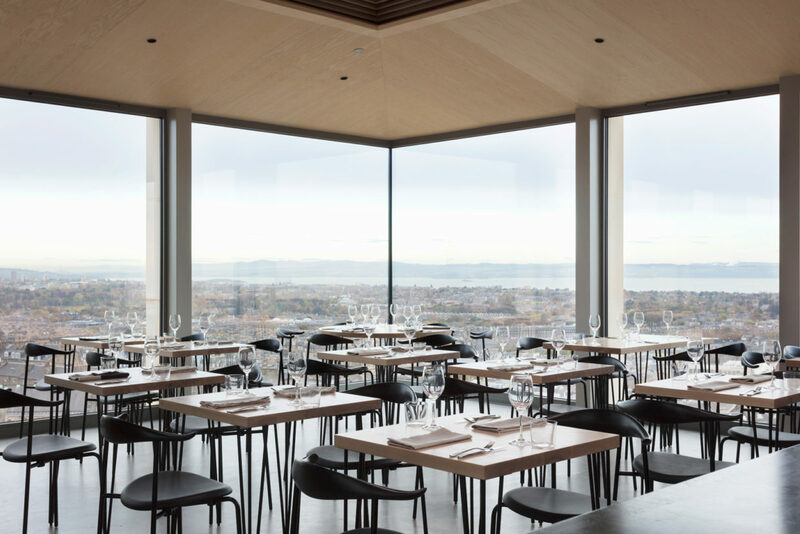 The space had to be simple and pared back; the City Dome provides the grand scale and material complexity for more established artists to work with and the Hillside had to provide the antithesis to this. Collective wanted to create a level of intrigue to draw people into the space, as such the windows were kept deliberately small, and the entrance angled to channel people into the gallery space. A simple internal palette of exposed in-situ concrete soffit, polished concrete floor and white walls creates an incredibly calm space. Externally the walls are smooth cullalo sandstone, with tooling to the angled recesses to suggest a carving into this solid form, as the building itself its carved into the basalt of the hill.